I think the ambitious sewing at the end of 2016 had me a bit stunned at the start of 2017😊. I mean, even my sewing machine sounds different! It was a homestretch strong finish I must say. Starting off 2017 after taking some time to reflect and look ahead I am now getting into the swing of things. 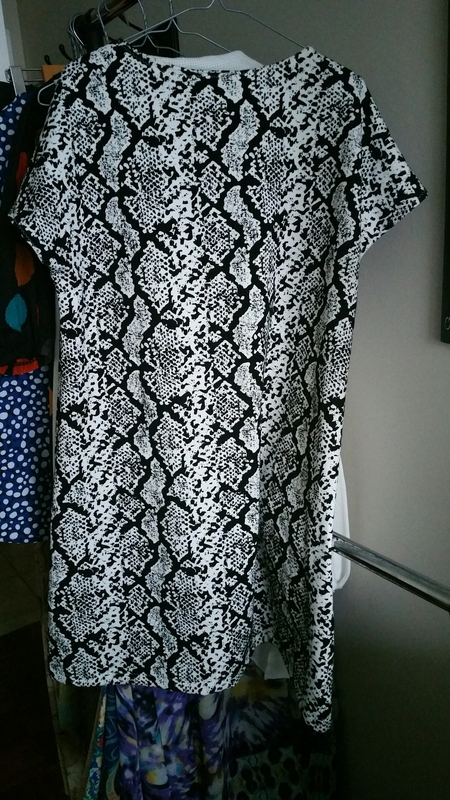 -So far I have completed one alteration and a high neck top. 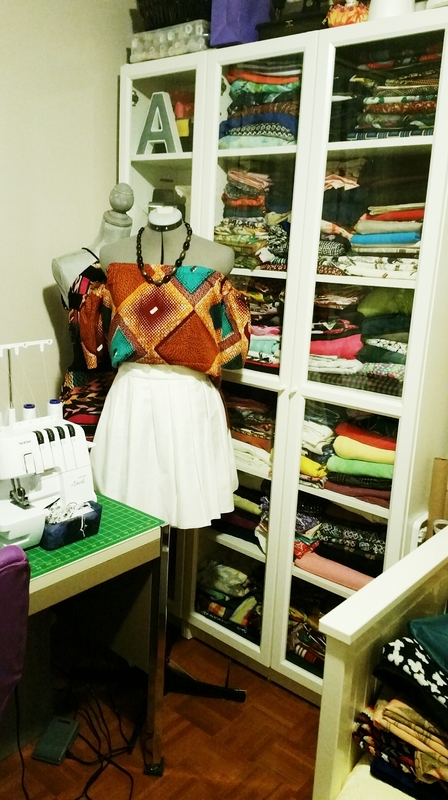 -I was also able to complete my sewing room organization a few weekends ago! I feel great about this in particular! For the most part everything has a home.This will help my flow for the months ahead! Here is a sneak! After successfully completing the above I felt it was time to make my first memade for myself. I don’t know if you guys realise the trend but my personal pieces are spur of the moment. Literally I was talking to my mom on facetime and the next thing I was sewing this shift dress. 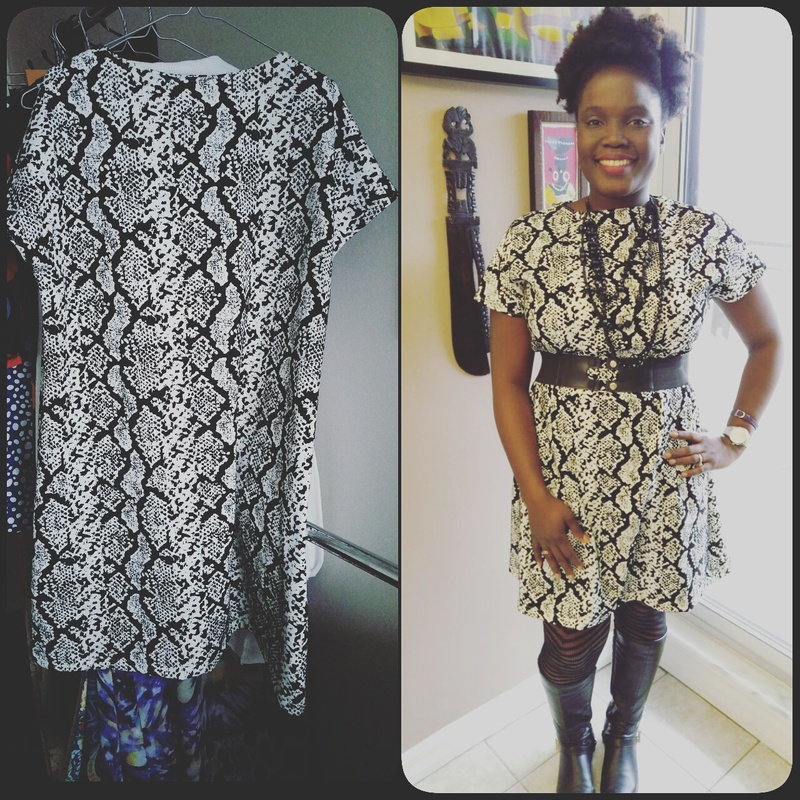 I tweaked a current self drafted pattern to create the look. The sewing bug is back! I have a few items ready to go for this week! Woot woot!! Just keep sewing, just keep sewing, what do I do I sew sew sew sewwwwwwww! ax, it looks fantastic on you Uta, love it with the belt on.